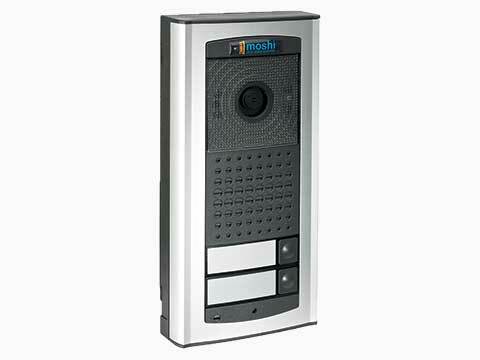 Combine building or office security with an elegant look and clear communication for your visitors with a Moshi Door Entry System. 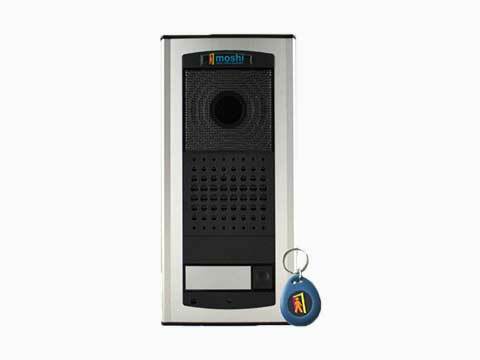 Moshi IP, GSM or analogue systems secure door entry systems have been tested with leading phone systems, handsets and smartphones including Asterisk, SWYX, 3CX, Quadro Epygi, Snom One, Avaya, Nortel, Cisco, Alcatel, Panasonic, Nexspan, Grandstream, Yealink, Polycom, iPhone, iPad, Android Tablet. 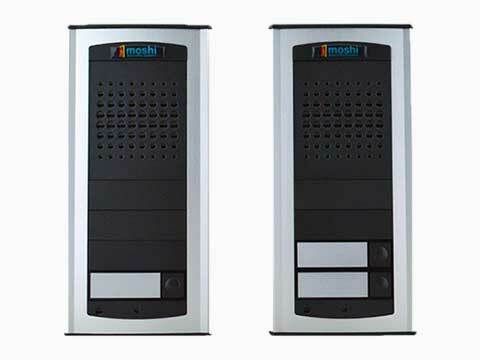 Moshi products are easy to install and come with a 24 month, no-quibble warranty. 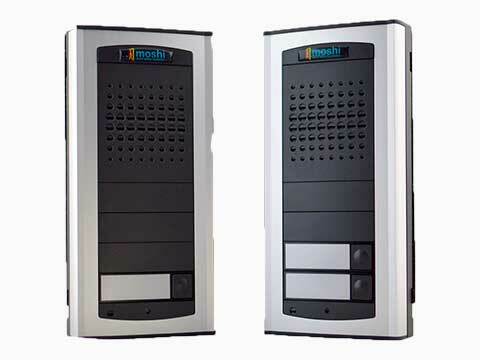 Real time video on a PC app, IP/SIP compatible phone screen, web browser, Smartphone or tablet. 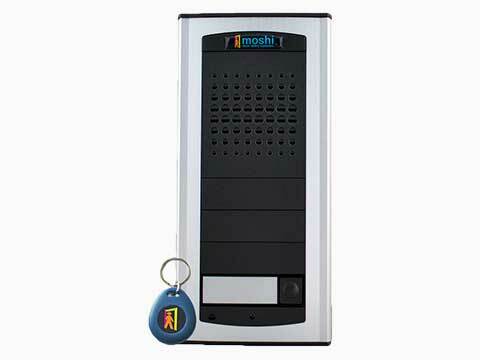 Supporting up to 640 x 480 video at 5 fps. Remote opening via mobile phone, free of charge. Opening is accepted from pre-programmed numbers only. 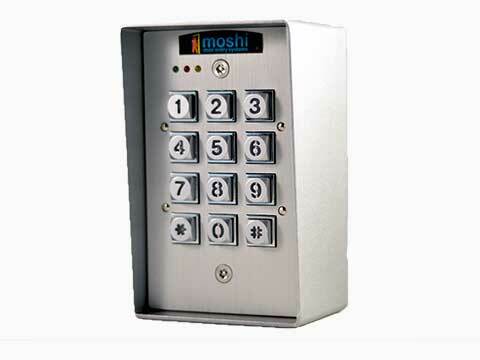 Moshi door entry phones can operate multiple doors, gates, lighting or even over door heating systems. 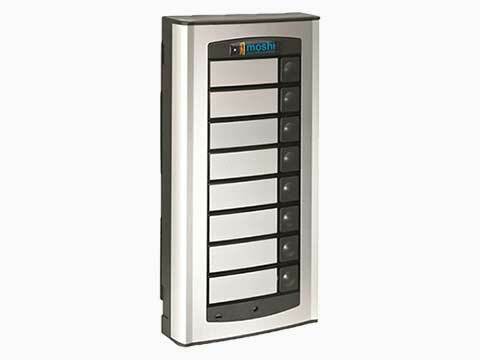 Always be able to answer the door even if the premises are unoccupied. 7 numbers with a max of 25 digits can be stored on each button. SMS message sent to a pre-programmed number if unit is short circuited. Integrated heating in the unit to stop freezing and condensation. 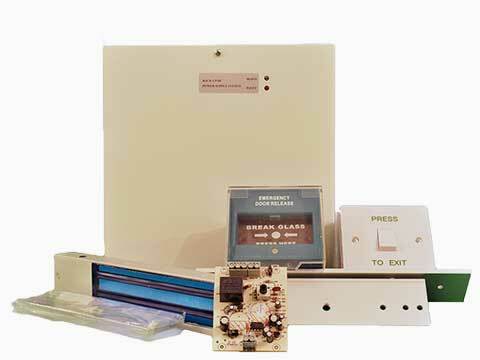 Parameter settings can be made via PC, SMS remotely, Mobile phone- using the system’s SIM card.